Isidore Auguste Marie Francois Xavier Comte was a famous French philosopher who founded the discipline of sociology and the doctrine of positivism. Comte is sometimes referred to as the first philosopher of science. Auguste was born in Montpellier in Herault on January 19, 1798. He attended the Lycee Joffre and then the University of Montpellier. He later joined the Ecole Polytechnique in Paris. Comte’s education was more technical than humanistic, and he even passed the entrance examination for the Ecole Polythechnique one year earlier than the normal age of 15. Comte initially explained epistemological perspective of the positivism in a number of texts that were published between 1830 and 1842. The texts were known as The Course in Positive Philosophy and were later followed by A General View of Positivism, which was published in English in 1865. The first three courses basically dealt with the general physical sciences in existence, such as mathematics, physics, astronomy, chemistry and biology. The other two had a focus on the inevitable emergence of social science. Comte was the first person to distinguish the natural philosophy from the science explicitly. Comte offered a great account of the social evolution. He proposed that society undergoes three phases in the quest for the real truth according to the general Law of Three Stages. First is the theology stage, second is the metaphysical stage, and finally, the positive stage took place later in life. The theology stage was viewed from the general perspective of the 19th century where man’s place in society and society’s restrictions upon humans were simply referred to God. Basically, man blindly believed and followed everything taught by the ancestors and also believed in some supernatural powers. During this time, man was not a curious creature and led a very simple life. The metaphysical stage involved justification of the universal rights as simply being on a higher place than that of any authority of a human ruler. This is also known as the investigation stage since this is when people started to reason and even question everything around them. In the positive stage, people could finally find a solution to their problems, especially the social ones. Here, people could come up with human rights and other ways to solve their problems. 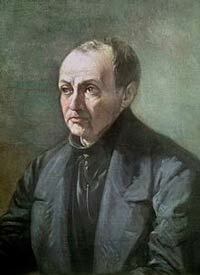 In his later years, Auguste Comte came up with ‘religion of humanity,’ which was meant for the positivist societies to fulfill the cohesive function that was once held by the traditional worship. He even proposed a calendar of reform in 1849, but the system was later unsuccessful. Comte published four volumes of Systeme de Politique Positive between 1851 and 1854. His final work was published in 1856. Comte died in Paris on September 5, 1857, due to stomach cancer. He was 59 years old.